Accessories add the finishing touch to a home’s interior. Similarly, it’s the smaller elements in a garden that add just the right touches of color, texture and interest to pull the whole thing together. Winter landscapes may not feature an abundance of flowers, a rich green carpet of grass, or leafy shrubs to look at. However, ornamental grasses and ground covers take on a whole new life at this time of year, and they really do act as the perfect accessories for a winter garden. Ornamental grasses dry out as they go dormant. The result is a beautiful, delicate and graceful work of art that adds so much to the landscape. Dried ornamental grasses have wonderful texture and artistry. Some, like bluestems, feature straight blades that turn crisp and stiff during winter, giving them an almost a modern sculptural effect. Others, like switchgrass are graceful and sweeping, and have a cascading, almost romantic look. Some dried grasses have seed heads that extend above the blades, adding unique shapes and textures. Pink muhly grass is particularly gorgeous in fall – its seed heads look like a fluffy pink cloud. When you plant them in groups they’re really spectacular to see. Dried ornamental grasses change in color and texture as they continue to dry out over winter months. It’s an interesting thing to watch – particularly as winter changes to spring and they slowly return to life. 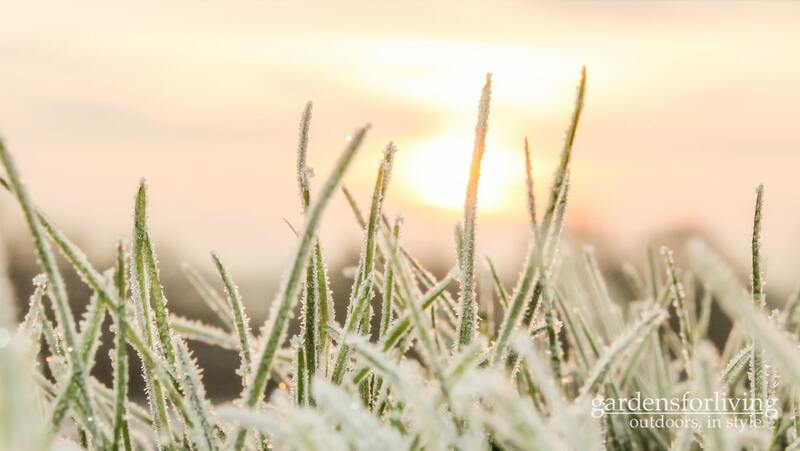 Grasses stand up well to snow, and look exceptionally beautiful when they’re frosted over. They also provide a winter landscape with movement – an element often lacking during a times when foliage is scarce. Their seed heads also provide a great source of food for birds during winter. One thing we always emphasize is the importance of using native grasses. People will sometimes add non-native ornamental grasses to their landscapes because they’re beautiful, not really realizing that grasses are often self-propagating, which means that they can take over if they don’t have enough competition and resistance. This means that non-native grasses can quickly and easily become invasive, and eventually destructive. There really isn’t any need to use non-native ornamental grasses, when there are so many great native varieties. We particularly like to use panicums, or switch grasses, which turn a rich golden brown and take on a feathery texture during winter. My favorite ornamental grasses, though, besides pink muhly, would probably be little bluestems. Not only do little bluestem grasses look beautiful when they’re dried, they take on a red hue in fall that ranges from rose to rust, and they stay that color all winter. Then, of course, you have groundcovers, which are also useful for accenting winter landscapes. Some, like pachysandra, are evergreens, and provide welcome green foliage in winter. We love pachysandra; it’s dense and has beautifully shaped leaves, it’s non-competitive, and it likes shade, making it a great choice for areas beneath trees. Another favorite of ours is galax, a broadleaf evergreen that turns an attractive reddish-bronze color in winter. And here’s where our journey through winter landscapes ends. We thank you for reading, and we hope we’ve helped you see the full potential of your winter garden in a whole new way. Enjoy the rest of your winter, and join us again in spring, when we take on timely topics about how to create and maintain a landscape you love to live in. And, if you have any questions about this post, or any of your landscape needs, we are always available to help!